HAPPY HOLIDAYS! 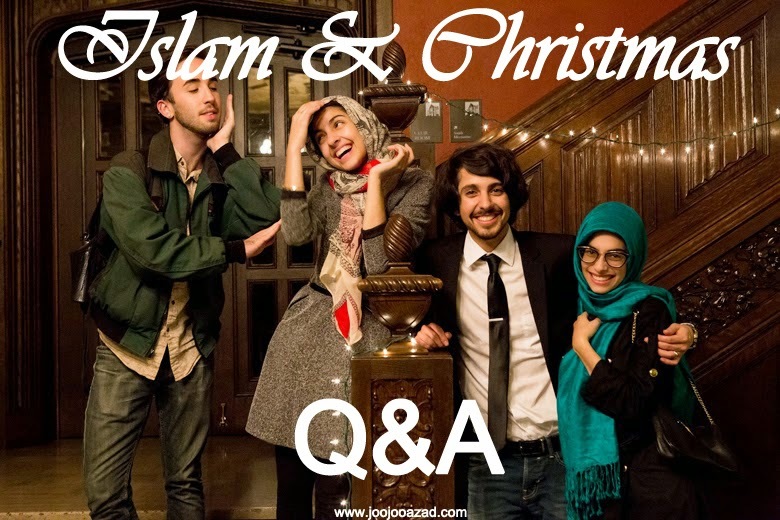 ISLAM & CHRISTMAS Q&A! Happy holidays from your (virtually) local Muslim! I didn't realize how many of you were curious as to why I don't celebrate Christmas/what I do instead on Christmas, so I decided to take up a few lines and answer properly rather than just reply to a few comments/emails. Okay now on to a few of the most-asked questions! Christmas acts as the symbolic birth of Christ (although most Christians know that his birthday does not fall on the 25th of December but was rather a pagan celebration that was adopted into Christian traditions by the Catholic Church in early AD). As a Muslim, while we do believe in Jesus and give him much respect, we do not believe that his birth was on the 25th of December. And, as most Christians view Jesus to be Lord, they would emphasize Christmas more than Muslims would, as we regard him as a Prophet rather than a God. Moreover, as an activist, I personally view Christmas as a holiday that has been over-commercialized. Large businesses have tried to corporatize the holidays and shifted the focus to consumption rather than any religious connotations it had, unfortunately. Do Muslims Not Believe in Jesus? To be honest, even thought we don't "officially" celebrate Christmas, we might as well. Because we (my immediate family and I) all live in the USA and get a few weeks of holiday break from work, classes, etc, we all come home and spend time together. We spend our time playing board games, making and eating food together, playing video games, exploring conservatories, enjoying our neighbor's Christmas lights, and going out for Thai food. Not to mention that my father has a prized orange plant (he is so determined to grow oranges in worthless Oklahoma soil) that he hauls indoors for the wintertime and acts as a makeshift Christmas tree, I suppose. Also, when I was younger and wanted an excuse to receive presents so I asked my parents to buy me things in the name of Christmas, hehe. Now that I'm less spoiled, I do buy gifts for my Christian friends, accidentally make silly Christmas cards (see above photo), etc. Are there any holidays Muslims celebrate similar to Christmas? Hope that was semi-helpful and not too terribly dreadful to read through! Also please do not hesitate to let me know if you have any additional questions, or you would like me to elaborate on any point! 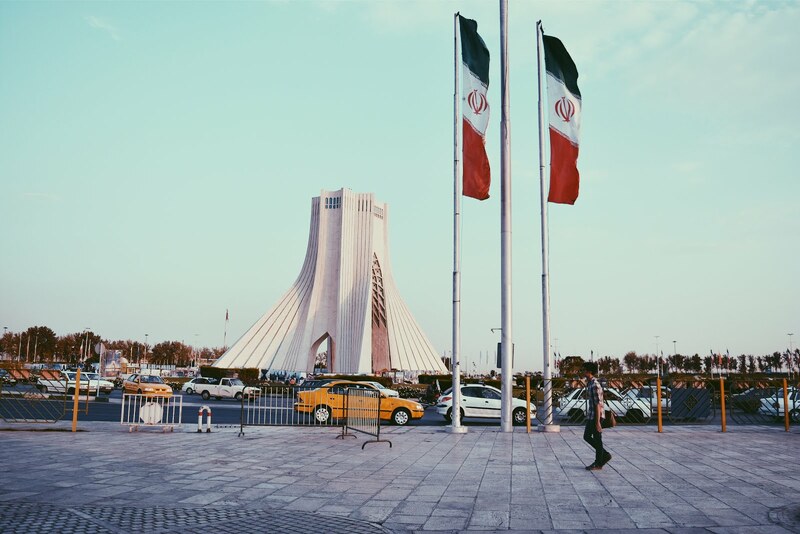 Or, if you have any general questions about Islam in general, as I am probably going to put a part II post on the Hijab (headscarf) post I made awhile back based on the questions I've been getting, so go ahead and please feel free to ask anything that is on your mind! Also, a question for you! What are your traditions for the holidays? I'd love to hear how you celebrate Christmas/Hanukkah/Kwanzaa/etc! For those of you who are celebrating, happy holidays! If you found this interesting/helpful, please share! hi Hoda, how are you? I like this post so much. you describe very well.. Happy holiday for you, and everyone..
Hey! Thank you so much! I'm really glad to hear that you liked the post--thank you for reading! And, happy holidays to you too! I love how open you are about the questions people have! :) I've been surprised at how many of my atheist/agnostic friends celebrate the cultural institution of Christmas, since as a Christian it has another meaning to me. My family also decided to focus on the religious aspect and less on the capitalism in the last few years, and instead of presents we do charitable donations and then stuff stockings, which has been really enriching and relaxing. Enjoy your winter break and family time! This was a great post and I enjoyed reading it! As a Christian who celebrates Christmas more for the religious aspect, it was cool to see someone else's opinion. I know you mentioned you buy your Christian friends gifts, but do they buy them for you too? I'm curious! I love the posts you write about your culture. Power to ya, Hoda! In some countries, like Japan, even if Christians make up a small minority of the population, most people celebrate Christmas in the way that even if your religion doesn't give two hoots about St. Valentine, we pretty much all celebrate Valentines Day. I think it's really fun to see what other people do on the holiday (or during the season) to end the year well! And yes! My friends who observe Christmas also give gifts to me, as well! This was a really great comment, Harper--thank you so much for reading and leaving such a thoughtful reply! Oh, no interruption at all! I really enjoy your thoughtful and wonderful comments! :) I definitely did not know any of the details on this, thank you for sharing! And, to each their own, I suppose. I know a lot of people who are not Christian but celebrate as it is an excuse to buy gifts for each other and spend time with family, but I definitely understand why many people--including Christians like yourself, would abstain. Thank you for leaving this comment! Very interesting post. I know Muslims recognize Jesus only as a prophet but I had no idea that you dealing Christmas such a different and symbolic way as you said. I loved you blog and your ideas!